Roosendall- Honcoop Construction Company was awarded the bid and was given a Notice to Proceed on the project today. R/H Construction Company will be mobilized and on site by Friday, September 30th. Tree limbs are being trimmed back today, to accommodate the crane and other large equipment that will be driving on site for the project. Eventually the side walk coming from the 29th street parking lot will be a nice paved access road/ large side walk. Will try hard to keep the community posted on all exciting details for the spray pad and new restroom. (Projected Completion Date on entire Project is January 2017). The Anacortes Parks Foundation, a non-profit public foundation serving the Anacortes area for 20 years, is pleased to resume our Community Grant Program. In support of community collaboration with the Foundation’s mission, APF encourages individuals and groups to apply for assistance in funding projects that enhance park, recreation and leisure-time opportunities on Fidalgo and Guemes Islands. The mission of APF is to encourage private or public donations of land or money for the acquisition, development and enhancement of park and recreation facilities in and around Anacortes. The Foundation also manages park-related projects and administers charitable contributions for local programs. In past years, APF has awarded more than $26,000 in community grants for projects on Fidalgo and Guemes islands. The Community Grant Program is funded by the Puget Sound Energy leasing agreement with the Kiwanis Noon Club for use of land on Mount Erie. Visit the Grants tab on this website for the Grant Program Guidelines and an electronic Grant Application. Please contact Suzanna Dentel, 360-299-0977 or suzdentel@gmail.com with questions. 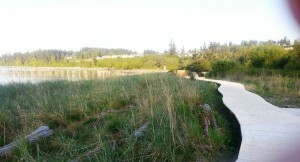 Come out and enjoy the new boardwalk and view the wetlands of the SHIP trail!